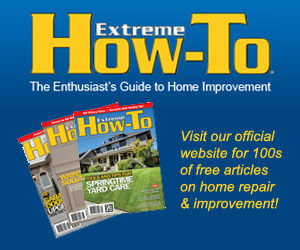 Cordless power tools … If you’re reading this blog then you probably use them — a lot. 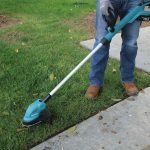 With their ample power and compact portability, cordless tools really do work wonders, but we all know they’re rendered useless if the battery loses its charge and we’re left twiddling our thumbs while the recharger does its job. Nickel-cadmium (NiCad) batteries lose power if left unused. As for Lithium-ion batteries, it is hard to tell when they’re dying. Manufacturers call this a “fade-free charge” because you won’t get the telltale slowdown as the batteries wear out; the tool will just stop. Extreme How-To got word of something new in the world of tool batteries, and although we haven’t been able to test the technology first-hand, if it works as it’s described, it’s going to send shockwaves through the power-tool industry. At the 2017 Consumer Electronics Show, the company ZapGo showcased an 18-volt power drill that used Carbon-Ion™ battery cell technology, where the recharge time was reduced to less than five minutes. Further, unlike the current standard Lithium-ion batteries that can cause spontaneous fires in appliances, Carbon-Ion cell technology is safe and recyclable. Sound interesting? We thought so. We asked ZapGo’s CEO Stephen Voller a few questions about the new technology, and here’s what he told us. EHT: Can you explain in layman’s terms what initiated the research into using Carbon-Ion technology as an alternative to Lithium-ion for battery technology? SV: The potential drawbacks and dangers associated with Lithium-ion powered devices have long been known and have been well publicized. For example, there have been major recalls of devices following owners’ reports of fires. 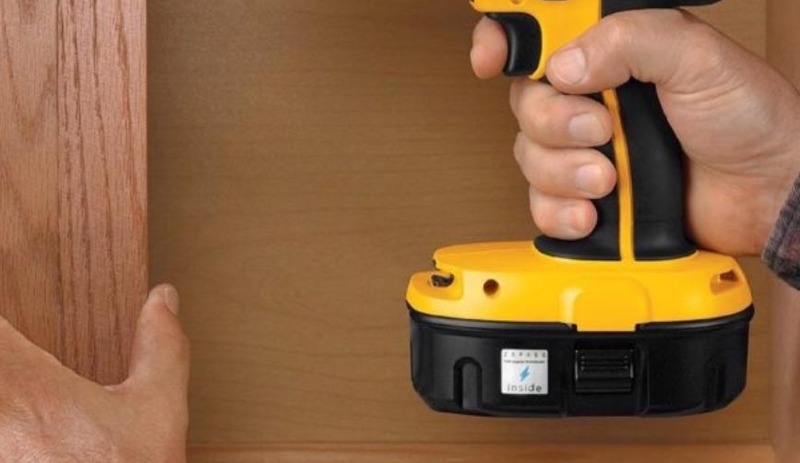 With regard to cordless power tools, in addition to potential flammability, Li-ion cells have a much more familiar drawback: they take a very long time to charge up, and there is nothing less convenient than grabbing a cordless tool for an emergency repair—only to find that it needs to be charged up first! In contrast, Carbon-Ion™ cells possess several advantages: C-Ion™ cells do not catch fire, they are recyclable and they can be fully charged in less than five minutes. EHT: Will existing Lithium-ion tools operate using the new batteries, or will newly designed tools and chargers be required for the new battery platform? SV: Although Carbon-Ion cells are not intended to be retrofitted into existing tools that currently employ Li-ion batteries, ZapGo has already started to work with tool manufacturers to design and build a new generation of cordless tools that incorporate C-Ion cells. At CES 2017, ZapGo showcased an 18-volt power drill where the recharge time was reduced from 30 minutes to less than two minutes—and the product will be available for purchase this year. Because of its advantages, we expect the coming generation of C-Ion will attract a substantial consumer base once products are on the market. EHT: The prototype batteries can be used to power electric tools such as drills, but will the quick-charge technology be usable for larger applications such electric vehicle batteries? SV: Yes, eventually Carbon-Ion cells will be available for electric vehicle batteries. Currently, ZapGo is working with a British consortium to develop the next-generation driverless “POD”— a small, electric-powered vehicle whisking travelers from one of the terminals at London’s Heathrow Airport to a nearby parking lot—that will combine traditional Li-ion cells with our C-Ion cells as their power source. The result would be a vehicle that is significantly faster-charging and more versatile overall. The new PODS would replace those currently used at Heathrow and elsewhere in England. EHT: If larger capacity batteries will be made available, does the same five-minute charge apply, or will the recharge time be proportional to the size of the battery? SV: All of the Carbon-Ion cells in our development pipeline, including larger capacity cells, will incorporate the advantage of being fully chargeable in less than five minutes or less. In fact the POD driverless vehicle recharges in just 35 seconds. The new Carbon-Ion technology allows for devices to undergo significantly more charging cycles over their operational lifetimes than what is currently possible with Li-ion powered devices, which gradually lose their ability to be recharged over time. Furthermore, each new generation of Carbon-Ion cells will be smaller and more compact than its predecessors, but will be able to hold the same amount of charge even as they get smaller. EHT: Will ZapGo initially be the sole provider of this technology to the marketplace? Will it be made available to a broad spectrum of manufacturers across many industries? SV: Carbon-Ion technology is proprietary to ZapGo. Our business model is to partner with prominent manufacturers across a wide spectrum of industry verticals—e.g. electric power tools, cordless cleaners, toys, mobile phones, transportation and the military—who may incorporate our technology into their products. As these initiatives bear fruit, these manufacturers will commercialize and sell the products under their own names but with our technology as a key selling point—similarly to Intel Inside®. The first such products—including cordless power tools, robotic cleaners and electric bikes—are expected to be available for consumer purchase during late 2017 or early 2018. At this point, we are not planning to sell the C-Ion cell technology directly to consumers. EHT: Do you predict this technology will eventually replace Lithium-ion and NiCad battery technology? SV: Li-ion and NiCad battery technology will most likely always be commercially available in one form or another. However, we believe that the obvious advantages of Carbon-Ion cells—whether they are utilized on its own or in tandem with these older forms of technology—will be increasingly recognized by consumers and companies, and will therefore be a progressively more popular option as time goes by and occupy an increasing portion of the market because of the perks they offer: they are much safer than Li-ion powered devices; they are fully recyclable, meaning there is no negative impact on the environment; and perhaps most importantly for consumers, they charge much more quickly than what was possible before, meaning less waiting and more convenience for consumers. EHT: How will the cost of the product for the end-user compare to Lithium-ion battery technology? SV: Carbon-Ion cells are made using the same production machinery as Lithium-ion, but do not use the most expensive component—the lithium. We anticipate in volume that the price point for Carbon-Ion cells will be competitive with Li-ion technology. In other words, the manufacturing infrastructure for Carbon-Ion cells already exists and does not have to be built from scratch. EHT: Are there any drawbacks such as safety or environmental concerns to Carbon-Ion technology that differ from other currently existing battery technologies? SV: No. Carbon-Ion cells, due to their composition, are completely safe and recyclable. Unlike Li-ion, which is a battery and works by an electrochemical reaction that is the source of the risks that have been publicized by the media, C-Ion cells pose no similar risk. This is because they incorporate a new, less-volatile type of electrolyte—called an “ionic electrolyte”—that does not contain any of the flammable chemicals in the “organic electrolytes” used in Li-ion batteries. When might the average tool user expect to see a Carbon-Ion powered drill for sale at their local hardware store? SV: The first cordless power tools incorporating Carbon-Ion cells are expected be available during late 2017 or early 2018. We can’t say yet which brand but it is certainly a household name that your readers would recognize and one that sells at all major retailers. 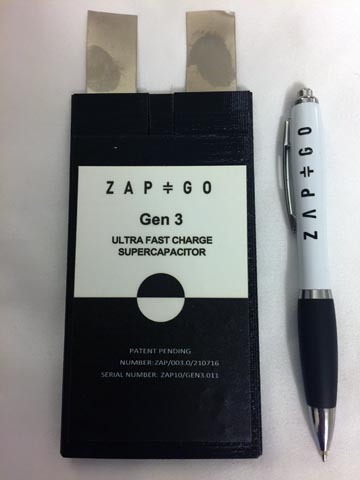 Editor’s Note: ZapGo’s CEO, Stephen Voller is the inventor of Carbon-Ion and founded ZapGo in 2013 to produce the next generation of energy storage devices based on this new technology platform. He has taken several technology businesses through concept, design and then into production; for example, he launched the first ever CE-marked hydrogen fuel cell product and was co-founder of the hydrogen storage company, Cella Energy. Learn more at zapgo.com.